Ritz..... with heavy hearts and lots of sadness we feel the loss of a very intelligent stallion, one who was always so willing. Ritz passed away on Sept 30/2017, with no prior health issues. the possibilities are, he got into possum poop, and that is fatal to horses. 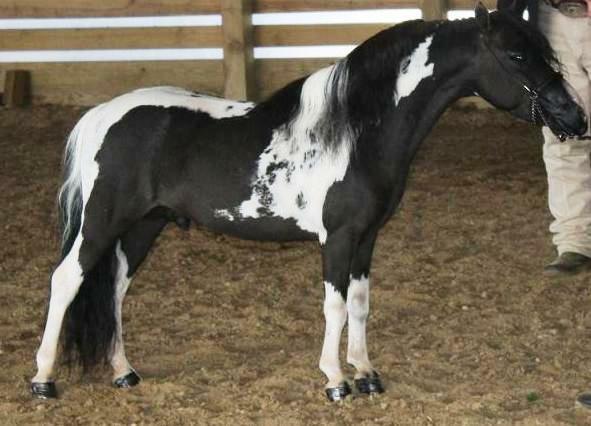 This handsome true black & white homozygous stallion has more than just colour and refinement, he has it all! And he passes it on to his offspring. Ritz was shown very minimal as a weanling and yearling. In 2003 he won 4th place in the MMHC futurity in a class of 19 horses, also took home many ribbons. In 2004 he placed 3rd in the Canadian All Stars in Multi-Colour Stallion, and 4th in Yearling Stallion. Ritz is an outstanding stallion who produces show quality foals. Check out our foal page to see some of his beautiful babies. Ritz was shown in the 2010 season by Lori Rafter of MiLo Acres Training Centre taking many grands at halter and driving and achieving National Top Ten in Tulsa as well as Canadian and National Top Ten All Star. See the show page for results! 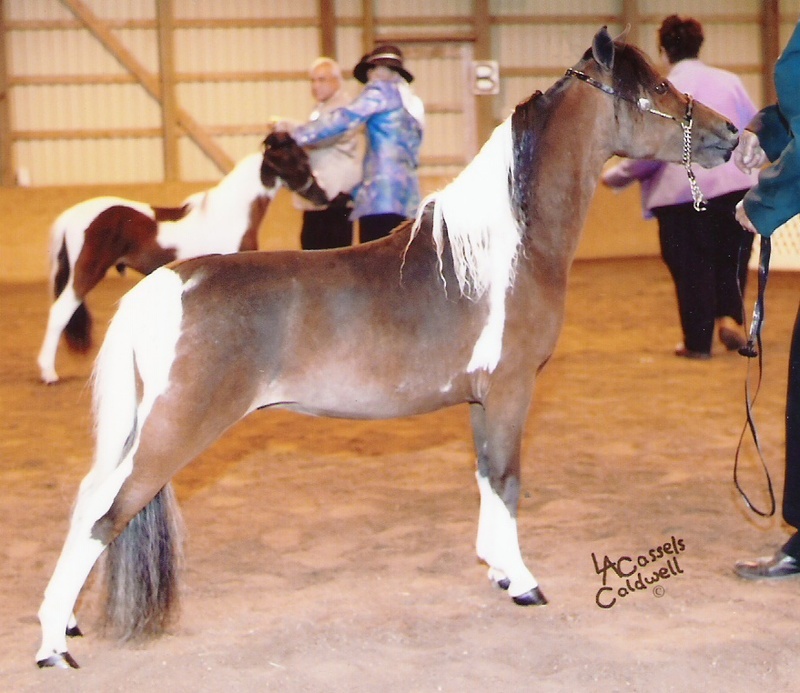 This double registered handsome bay pinto is a National Top Ten and Canadian Champion halter horse of our own breeding. Upheaded, showy and correct he will surely produce some lovely foals for us! It has happened, Sugar has left some awesome offspring!